The Rohingyas - a distinct Muslim ethnic group who are effectively stateless - have been fleeing Myanmar for decades. But why are thousands now stranded at sea? And how are Myanmar's neighbours responding? 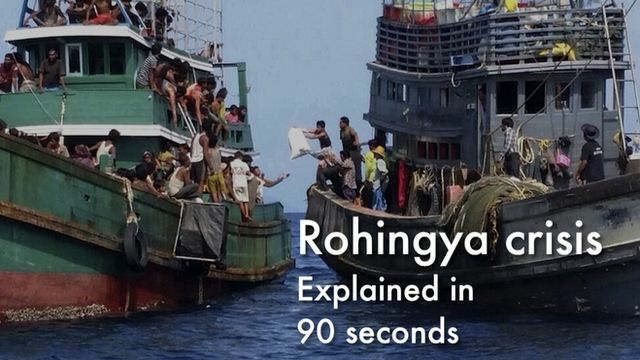 BBC News explains, in 90 seconds.